On Monday, November 13, the North Manchester Historical Society is pleased to host popular historian Pete Jones for a program about John Comstock, the founder of Liberty Mills. The program will be held in the Assembly Room at Timbercrest Retirement Center, 2201 East Street, at 6:30 p.m. The program is open to the public at no cost. John Comstock was a commanding figure. 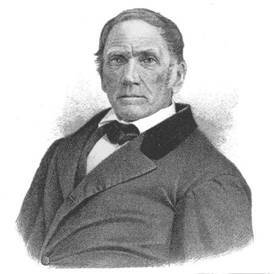 He bought land in Liberty Mills in 1836, and built a saw mill, grist mill, distillery, general store, and carding mill. He was elected Probate Judge of Wabash County and Representative to the State Legislature. For many years, Liberty Mills and North Manchester were rivals for prominence in the area. Come and learn why North Manchester eventually rose in importance over Liberty Mills! Pete Jones taught for 38 years, most of that time teaching American History, English and journalism at Manchester High School. He retired in 1999. He served on the board of the Wabash County Library for 25 years. Currently on the board of the Wabash County Historical Museum, Jones writes a weekly history column for the Wabash Plain Dealer and has written a monthly column for the Ford Meter Box company for 33 years. A sampling of these columns have been collected and published. 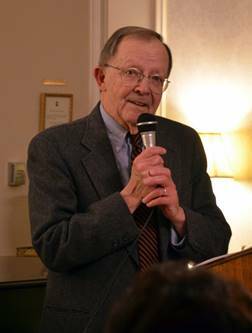 In 2015, the Indiana Historical Society awarded Jones the Hubert Hawkins History Award for his distinguished service and career in local history. Jones is a well-regarded speaker and researcher whose relaxed and interesting narrative style makes his historical research seem more like a story, a “good yarn” that’s engaging and appealing. His many past students and acquaintances will especially enjoy this program. Contact the North Manchester Center for History at 260-982-0672, or nmhistory@cinergymetro.net for more information. The Paper of Wabash County.